In Wisconsin, spring festival season begins as soon as the ground thaws and the first bits of green begin peeking out of the ground. Whether you’re interested in rare mushrooms or maple syrup, Wisconsin has the festival for you! Check out some of the most popular happening around the state. 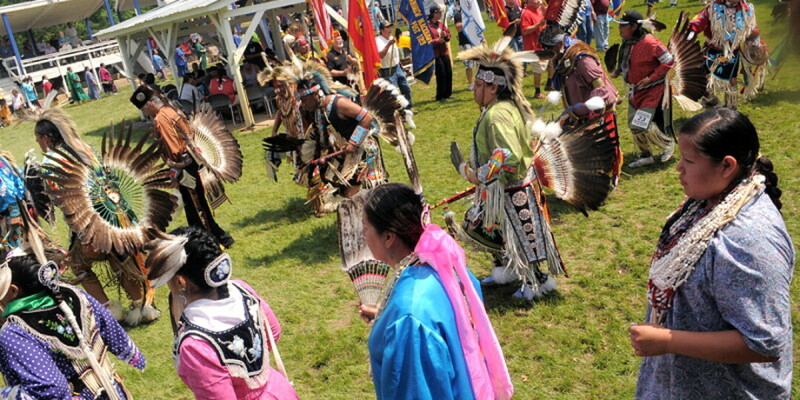 May 25-26, Black River Falls • Each Memorial Day, the Ho-Chunk tribe invites the public to a pow-wow as a celebration of thanks and camaraderie. Listen closely and the thundering drums will lead you straight to the action at Andrew Blackhawk Memorial Pow-wow grounds. Throughout the pow-wow, you’ll marvel as singers, dancers, and drummers perform traditional tribal music in their vibrant ceremonial garb. Who knows – maybe they’ll even invite you to join in! Grab some delicious fry bread and don’t miss this unique opportunity to experience an authentic Ho-Chunk tradition firsthand. May 2-5, Pepin • Each year in May, 100 miles of the Great River Road between Fountain City and Prescott are transformed into a rummager’s paradise. Individuals and local businesses alike take the opportunity to clean out their attics and stockrooms and price their wares to sell! There isn’t a master list of every sale along the route, so you have to keep an eye out for the ribbons marking which sales are participating – almost like a scavenger hunt! Whether you’re looking to freshen up your wardrobe at a great price or are keeping your eyes peeled for something you didn’t even know you needed, you’re sure to find it somewhere along the famous 100 Mile Garage Sale. April 6, Phelps • Everybody loves maple syrup, but do how much do you know about where it comes from? To answer this question and more, look no further than Phelp’s Maple Syrup Festival. Perfect for all ages, the whole family can watch live tree tapping demos and hop on a free guided bus tour of local sugar bushes to get a better understanding of how raw sap is transformed into the delicious maple syrup we douse our pancakes with. Once you’ve developed a new appreciation for fresh maple syrup, head to the Maple Café, where you can get your hands on just about any maple-flavored treat you can think of! Stick around and you’ll even get to see who’s crowned champion of the maple syrup contest. May 18-19, Muscoda • The uniquely challenging growing conditions of morel mushrooms make it impossible for them to be harvested commercially, so they’ve become something of a rare delicacy. One place you won’t have to hunt for them is at Muscoda’s Morel Mushroom Festival, where local growers and mushroom enthusiasts alike gather to trade thousands of pounds of these delectable morsels throughout the weekend.Head to mushroom headquarters, where you can sample of sautéed morels while supplies last. You can also find them prepared in plenty of other ways too – we highly recommend giving the morel bratwurst a taste test! Once you’ve had your fill, be sure to check out the craft fair and carnival before catching the fireworks display after the sun sets. May 11, Baraboo • Every spring, Baraboo’s charming downtown comes alive with art, music, and delicious food. Art Fair on the Square draws more than 150 artists and crafters to put their unique talents on display. You’ll see everything from hand-blown glass to metalwork sculptures, intricate pottery, and plenty more. The main attraction may be the local artists, but there’s even more to be found at Art Fair on the Square. Be sure to take a stroll through the farmer’s market where local growers also put the fruits of their labor on display. Once you’ve worked up an appetite, grab some grub from a local vendor and stop to enjoy live music surrounded by beautiful art and great company.